Parcul Tineretului (Youth Park / Tineretului Park) in southern Bucharest is not the prettiest park in city but its rather wild aspect is part of its appeal, considering that with an area of 80 hectares it’s the third largest park in the capital of Romania. Bucharest is considered the most polluted capital city in Europe, and yet it has a number of large parks, many of them built around natural lakes. Consider Parcul Herastrau, for instance, which spreads on 110 ha. Now consider that Parc de la Villette in Paris covers only 35 ha, and Parque Eduardo VII in Lisbon even less, 26 ha. Then consider Tineretului Park. It is not only very large itself but also lies in the proximity of two other city gardens, Parcul Carol and Parcul Văcărești, which together are about the size of Parcul Tineretului. Parcul Tineretului was built between 1965 and 1974 for the “recreation and rest of the working class.” This development took place in the Communist era but an older project for this park dates back to the 1930s. I’m reading that in the 18th century this area was often flooded by the Dambovita river which runs through Bucharest (and which flowed on a higher ground in an adjoining section of town). As a result, houses in this area were raised on stilts, 50 m above the ground. The place got to be called the Valley of Lament (literally, “The Valley of Crying” / “Valea Plangerii”) as when it started to rain, people here reportedly started to cry thinking that the river will overflow its banks again. The landscape architect also provided for the building of a 13 ha lake which would feed on the local water table. The shape of the lake and of the park, as well as the trees, shrubs, and plants around the lake were designed to offer visitors a variety of different vistas. There are three islands in the park, two of them connected to the land opposite by arched bridges. Ducks love going back and forth between these islands and the lake's edges. The alley around the lake is 3.2 km long. It’s a wonderful walk/run/bike path. There are lots of weeping willows, as on the bank of Herastrau Lake, petunias at the Sincai Square (Piața Șincai) entrance, a long rose alley, hibiscus shrubs, and a variety of deciduous trees as well as some conifers. When I went to the park on August 15, I noticed the grass had been mown and left on site. But there were also overgrown weeds, some of them by the edge of the lake. You’d think this ruined the view, but in my opinion it added variety, something nice and different compared to other areas where you could easily slip into the lake. There were also thistles in the drier areas. I love those – remember how we played with them when we were kids. They were taken with a quite capable small camera, Canon PowerShot S110. It has a 24mm wide-angle lens with 5x optical zoom, 12.1 MP, and ISO of up to 12800, and shoots Full HD video wonderfully (see some examples from Herastrau Park here). It's a great camera if you want to travel light and still be able to bring home nice photos and videos. 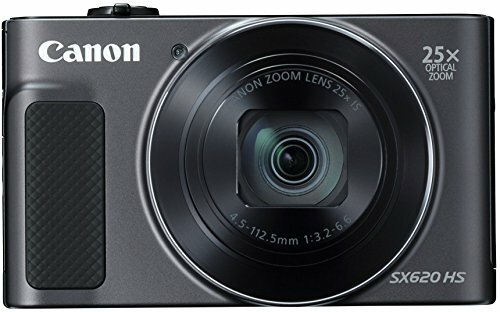 Update: I love this series from Canon, and the new SX620 HS model is amazing for the price and size. In the last few years lots of bike renting points. The I’Velo one in Tineretului Park is run by Green Revolution Association in partnership with Raiffeisen Bank. Youths under 16 and retirees can rent bicycles for free. 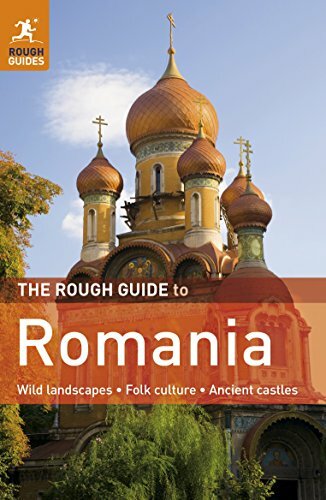 Take the metro to Tineretului (for the Sincai Square entrance), or to Constantin Brancoveanu. There are also many buses and trams which take you to Youth Park. A large playground with modern equipment was built in the park in the 1980s and called the Children’s Town / Mini-Town (“Orășelul Copiilor”). It was revamped very recently. Last memories I have of it, however, are from my childhood days. Apparently there’s also a Skate Park now in Tineretului Park, since 2010. I have yet to see it. The Sports and Culture Palace (known as "Sala Polivalentă" / Polyvalent Hall, “the multi-purpose hall”) was opened in 1974 on the park’s premisses. Some of the concerts that took place here featured Deep Purple (1998), Yes (2000), The Scorpions (2004), Nightwish (2004), Tori Amos (2007), Sepultura, James Blunt, Anastacia (2009), Jean-Michel Jarre, Steve Vai (2010), Armin van Buuren (2011), etc. Sala Polivalenta has a seating capacity of 6,000. There’s a project for a new Polyvalent Hall in the works, with twice the size of the 1974 one. Its construction will cost 80 million euros. It will be close to the National Arena, where I recently saw an amazing Depeche Mode concert. From July 23 to August 18 there are open-air movie projections in Parcul Tineretului. The last films they are showing are Michael Haneke's Amour, the Hunt with Mads Mikkelsen (I wrote a review about it), François Ozon's Dans la maison, Superstar, Twice Born, and A Royal Affair. August 15, when Orthodox Christians celebrate St. Mary’s Ascension, is a public holiday over here. You would imagine the park to be more filled with people than what you see in the photos, but keep in mind that this was also a (very) long weekend -- the holiday fell on a Thursday and many businesses decided to give their employers Friday off as well -- and many people were just too happy to go to the mountains or the beach. Stopping at the Actors' Café . 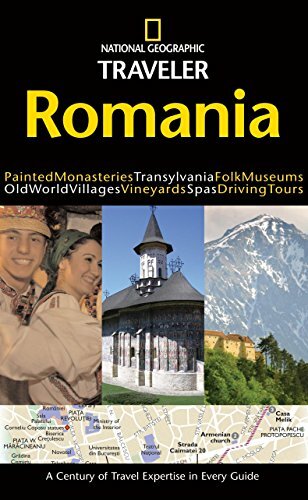 . .
Or just interested in learning more about this Eastern European country? Yes, it does serve walkers well. Also bikers, because the paths are large enough. I was there recently and it was heaven to bikers because there weren't very many people walking. Mira, Tineretului Park is photogenic and seems to be such an enjoyable park. There are so many pleasant vistas and great variety in interfacing with the park, from playing cards to taking a dip or jogging, etc. The Park looks nicely planned for walkers as well. Ice cream and fresh orange juice are enticing as well. Mira, I'm revisiting your lovely tribute to Bucharest's Tineretului Park. I've enjoyed this nature walk today as a lovely Easter visit with nature. I haven't seen the new Children's Mini-Town. I'll have to go check it out one day. Somehow I prefer this park the way it is now, because it's different from the more famous manicured ones. This one seems to be designed so that it's ok for nature to take over. Cismigiu Park (very close to Bucharest's Km 0), on the other hand, looks sad when no one picks the dry sticks, or doesn't mow the grass. And yes, visitors can visit the islands. I think I've seen some everywhere. I don't know how you get to all the islands though, but I've seen old boats around. No idea if you just hop into one or what! I'll look into it ;-) As I said, in this park people are mostly left to their own devices. Mira, It's wonderful that those who decide policy for the park not only think of the younger visitors but also the older, especially in terms of bicycle riding. Bicycling is such an enjoyable, healthy, all-around win-win way of viewing a park, its attractions, and its guests. You mentioned that you remember the children's part of the park before the revamping. Which way do you prefer it? In particular I like seeing all the vegetation. Is it possible for visitors to walk around all three islands? Thank you for sharing this slice of Romania's natural beauty. Wow! I felt like you took us there. Thank you very much! Wonderful post and photography, Mira. The park seems amazing! By Mira at Wizzley. Crafts, music, food, drinks, and a lot of people visiting the stands and houses of the Village Museum, enjoying the natural setting with trees in blossom.